How to prepare for iOS 10 upgrade, how to fix iOS 10 problems or bugs, how to improve performances on iOS 10 devices, etc. 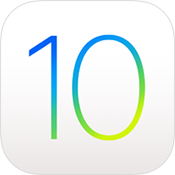 Here you can find all you need to know about iOS 10 upgrade. Follow us to have a smooth upgrade now! 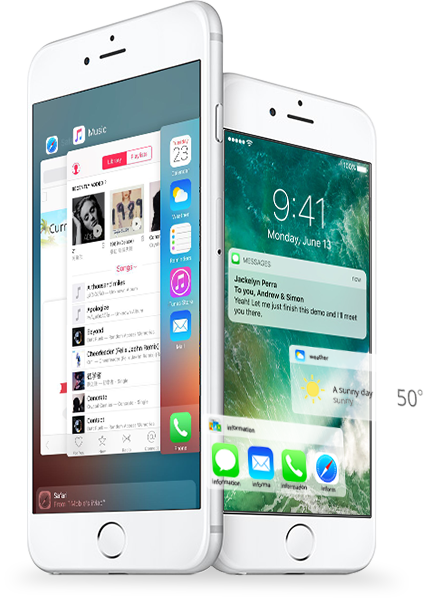 iOS 10 brings a multitude of brilliant new features like redesigned lock screen, innovative Message app, and more powerful Siri, etc. However, no surprisingly, it will also bring you some new bugs and issues, like freezing apps, randomly rebooting, or slow processing etc. Update to iOS 10 to enjoy new features or stick with iOS 9 to get rid of iOS 10 bugs? Before upgrading to iOS 10, the first thing you need to do is checking the full list of iOS 10 compatible devices and see if your iPhone, iPad or iPod touch can run iOS 10. Read this post to learn complete iOS 10 compatible device list. 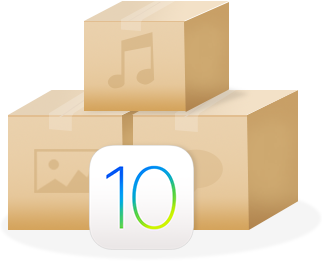 To make a smooth and succeseful upgrade, without doubts you should make a full preparation in advance, such as, make a full backup of your iDevice, upgrade the installed Apps for iOS 10, upgrade iTunes to the latest version, etc. Every year, some people fail to upgrade iOS software because of inefficient space for downloading. So check the storage of your iPhone iPad and see if it has enough storage. If not, follow us to create more storage on iPhone iPad and iPod touch. Compared to other steps, maybe installing iOS 10 is the simplest one. All you need to do is following the screen prompts on iTunes or iDevice’s screen. 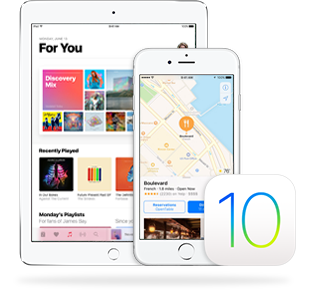 If you are new to iOS, read this guide to install iOS 10 on your iDevice with iTunes or Over the Air. No surprisingly, every new iOS software upgrade brings us new iOS bugs, even also repeat those old iOS 9 or iOS 8 problems. 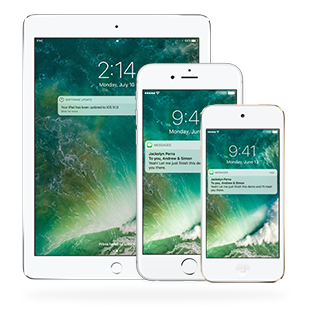 Get solutions if you are stuck on any iOS 10 problem or bug, like Wi-Fi is not working, battery drains fast, can’t activate iPhone iPad, etc. After upgrading to iOS 10, find your iPhone, iPad or iPod touch work slowly, especially, if you are working with an old iDevice like iPhone 5/5s/5c or iPad 4. Here we offer you 6 tips to make your iPhone iPad run faster. 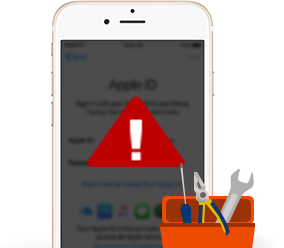 Except fixing kinds of iOS 10 problems and bugs, you may also need to fix this problem – lost important iOS data or files during iOS upgrade. 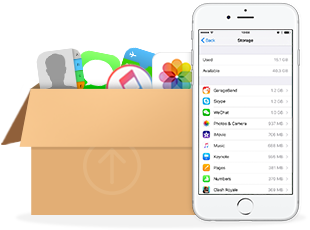 Here list you 3 methdos to get back deleted iPhone iPad data. Although most of iDevice users will update to iOS 10 smoothly, we can't rule out the possibility that some unfortunate men will be stuck on some tough iOS 10 bugs and can’t fix them. If you are stuck on this situation, here this guide about how to downgrade to iOS 9 will help you out. A best-value iOS content manager that allows you to back up what you like before upgrading, and manage your iOS contents better after iOS 10 upgrade. 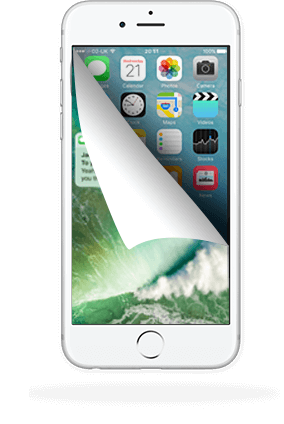 An all-around iOS data recovery tool that helps you recover lost data on iDevice, even without backup, and selectively recovers what you like without restoring. A must-have cleaning & optimizing utility that helps you create enough storage for downloading iOS software, and helps cleanup your iDevice and makes it run faster.